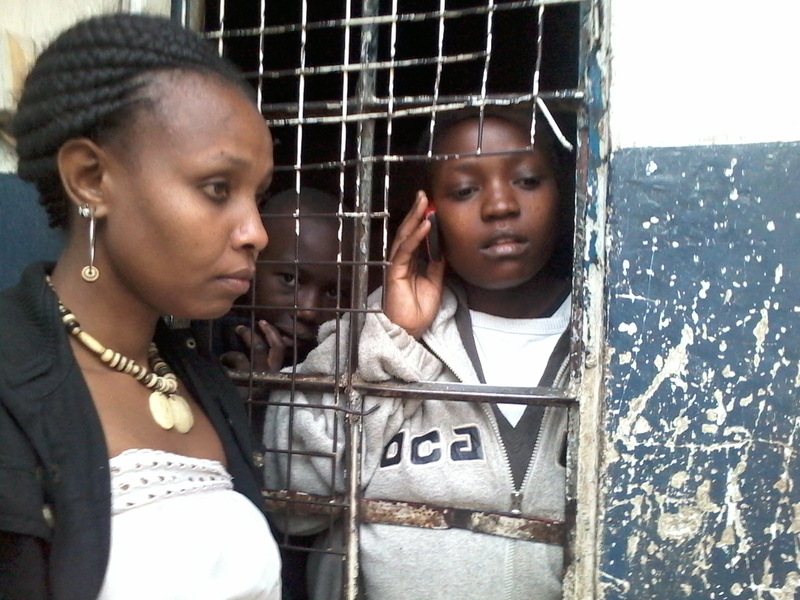 Ruth Mumbi was arrested by the police five years ago for what they said was a demonstration to incite violence in her community of Mathare, a slum in the Kenyan capital Nairobi. Mumbi organized a group of women to protest the country’s high maternal mortality rate. More recently however, Mumbi has advocated for the rights of young women who have been arrested after they underwent unsafe abortions. “I rescued a 21-year old girl, who was a victim of unsafe abortion. She visited a quack and a procedure was done. [She] went back home, the fetus came out and she took it to the Mathare River and then the community saw her. They arrested her, the started beating her,” she said. Mumbi, who started an organization called Bumbe la Wamama,Mashinini, which means grassroots women’s parliament, said the young woman was detained for three days without care and her bail was set at 25,000 Kenyan shillings or $247. She said if it was not for her intervention along with Federation of Women Lawyers, that young girl might still be in detained. Abortion is illegal in Kenya with some confusing exceptions. Abortion is however, the leading cause of maternal mortality in Kenya and advocates like Mumbi say the government is not doing enough to deal with this issue. In an attempt to decrease the maternal mortality rate in Kenya, the government passed legislation in 2013 that would afford women with free maternal healthcare in public facilities, a commitment that President Uhuru Kenyatta emphasized last year at the launch of the Global Strategy of Women’s, Children’s and Adolescent’s Health. This was part of an effort to achieving the UN Millenium Development Goal of reducing the number of deaths per 100,000 live births from the 488 reported that year to 147. At the Commission on the Status of Women conference last month, the Kenyan Ministry of Health held a side event to talk about the lessons learned from free maternal healthcare. Dr. Margaret Makelu, first lady of the Bungoma county on the Ugandan border, reported that the current mortality rate was at 360. In 2014 the Beyond Zero Campaign was launched by the First Lady of the country, Margaret Kenyatta and it was aimed at providing maternal care in remote and poor areas with little or no access to healthcare. So far Beyond Zero has managed to provide 36 mobile clinics. Prior to 2010 there was a penal code with five articles specifically stating the sentences that one would face if caught performing or undergoing an abortion. In 2012, the Ministry of Health had issued guidelines that specified when abortion was permitted and under what conditions and these standards and guidelines were recommended in the national study on unsafe abortions, as a way to decrease the number of women dying. However, in December 2013, the government revoked these guidelines. Evelyne Opondo, the regional director of Africa at the Center for Reproductive Health, said when the government revoked the guidelines officials said it was because various stakeholders had not been consulted and that guidelines would be reintroduced. However, three years later no such document exists. Opondo said the guidelines were clear and they made it easier to interpret the constitutional right to abortion. “They talked about how to prevent unwanted pregnancy, it talked about sexuality education, it talked about contraceptives, then it talked about dealing with women with unwanted pregnancies. And it also talked about post abortion care,” she said. She also said because there is no description of who is considered a trained health professional, and what is considered a health risk, women and health professionals alike do not feel free to go through with abortions. Opondo said the Center for Reproductive Health, with headquarters in New York City, has sued the Kenyan government for the arbitrary removal of the guidelines and for then issuing a directive barring health workers from getting trained in giving safe abortions. Opondo said the directive was a violation of the rights of both the women who wanted to have abortions and the providers who could provide those services. Dr. Babatunde Osotimehin, excecutive director of the United Nations Populations Fund, was also on the panel. He said early marriage contributed to maternal mortality and that more needed to be done to put an end to it. “Those who die the most are the youngest because they are not ready to bear children,” he said. The government study noted that some of the most severe cases of women dying from unsafe abortions, at 45 percent, were girls between ages 10 to 19. Osotimehin said the government has to do better to ensure that quality care is provided but he said that this would require great political will. Opondo said while the Beyond Zero campaign is a notable effort by the first lady, the government needs to do more about unsafe abortions. “There are five causes of maternal mortality and that the Beyond Zero Campaign looks at the other four and does not look at abortion at all because they say it as a controversial issue,. But the statistics are very stubborn we have this huge number of women who are dying from these abortions and this is a preventable cause of maternal mortality,” she said. With reference to providing free contraceptives Osotimehin said giving women the agency to make their own choices with their bodies was important to ensure that they are kept safe. “It’s about them deciding how many children they want to have and when they want to have them,” he said. Mumbi, the human rights defender, said many of the young girls she has worked with are unable to take care of their children because they cannot afford it. She said the young woman she helped in 2013 was still facing charges for killing the fetus, even though she has been out on bail for three years. She said after she left the prison she had to leave her home and move to a different county because of the shame she faced in her community. “The problem is that we are dealing with a lot of young women who live in poverty. They are the ones suffering and we need to protect them,” said Mumbi.